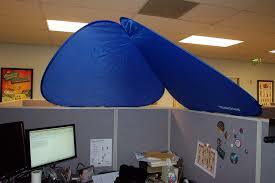 Home/Uncategorized/Cubicle Shields vs. Divider Panels: Is One Better Than the Other? One of the questions we often get is how cubicle shields and divider panels are different and if one is better than the other. Our initial response is that they’re different and which one you choose should be based on your office’s needs, what you’re trying to accomplish in your workspace and what your budget is. But, there are more intricacies involved than just those general ideas. Exploring each of those topics – needs, goals and budget – will help you get a sense of whether a cubicle shield or a divider panel is best. Take a minute to think about how your office is running right now and what each team member needs. Do you run a call center where space is limited and moderate sound reduction is needed? Are your employees handling sensitive information that requires premium noise reduction between cubicles? We find that many offices are designed with space in mind but, in some cases, visual and auditory privacy is either forgotten or neglected. This is a mistake we often see and it’s easily remedied with cubicle shields or divider panels. In situations where you need sound privacy and you have desks with existing low walls around them, cubicle shields are a good choice because you can easily attach them to the existing walls to add height around the cubicle and deaden sound. If your office has more of an open feel and there aren’t walls around each employee’s tables, then a desk-mounted divider panel can provide a huge privacy boost and, as we’ve pointed out before, increased privacy leads to increased productivity. Cubicle Shield vs. Divider Panels: What Do You Want to Accomplish With Your Workspace? Many of our clients want to create a workspace with increased productivity and privacy. These topics go hand-in-hand because, as we mentioned in the previous section, studies are clear that privacy is a human need and that workers thrive when they feel like they have a certain level of autonomy. We also know that traditional workplaces have a desire to modernize and, in this era of office design, open concepts are easily the most popular trend. A lot of businesses hear the phrase “open floor plan” and automatically think of bean-bag chairs and free-form work areas with standing desks and community tables. We believe that an open concept can be achieved with cubicle shields and divider panels because both are designed to offer enough auditory and visual privacy without disrupting workplace community. Cubicle shields and divider panels provide a functional, effective middle ground between head-high cubicle walls and wall-less open workspaces. One of the things that’s most appealing about cubicle shields and divider panels is that they’re affordable and effective. Prices tend to vary most when you’re deciding between panels that provide visual privacy and ones that provide audio privacy. Our fabric-covered sound-reducing panels are different than our other shields and dividers because they contain STC- and NRC-rated materials that absorb sound and prevent it from moving from one cubicle to another. While the performance of our cubicle shields and dividers is among the best, our price points remain reasonable, making both options a good choice for your office. Your office’s cubicles are an important part of how productive your team will be. The thought you put into your shields and dividers will either mesh or clash with your employees’ needs and your own vision for how you want your workplace to function. Head to our Contact Us page to send us an email or give us a call. We’re happy to talk with you about what you want out of your office and how our products can provide a simple, cost-effective solution.